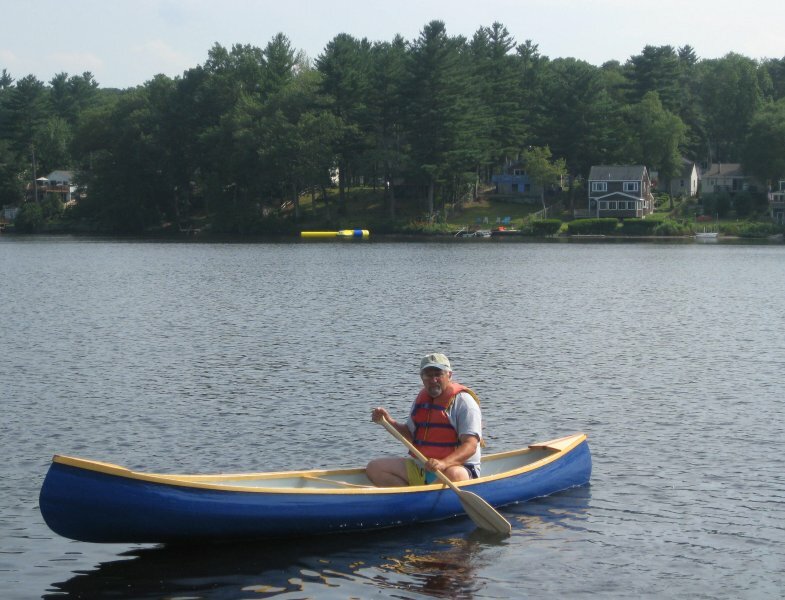 Tom Wakefield built this 14′ Puddle Duck Canoe with plans from Gil Gilpatrick. He built the 45 lb hull from 1/4″ clear pine then coated it with fiberglas cloth and epoxy. The rails are from clear pine and mahogany. 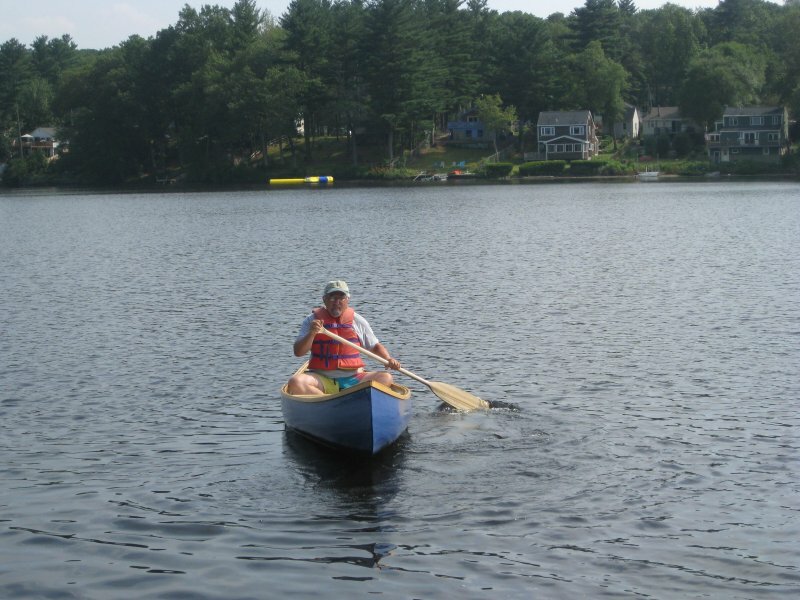 Tom launched her in Rock Pond, in Georgetown, Massuchsetts, during the summer of 2011 and plans to paddle her in the ponds and lakes near his home there.